Standard pharmacologic therapies for depression take several weeks of treatment before patients experience relief. 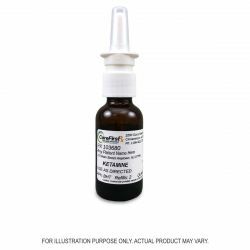 Ketamine is different in that it has been shown to reduce depression symptoms and suicidal ideation in as little as forty minutes. This is considered a potentially lifesaving breakthrough in the treatment of depression because ketamine can rapidly reduce symptoms, especially in emergency situations.